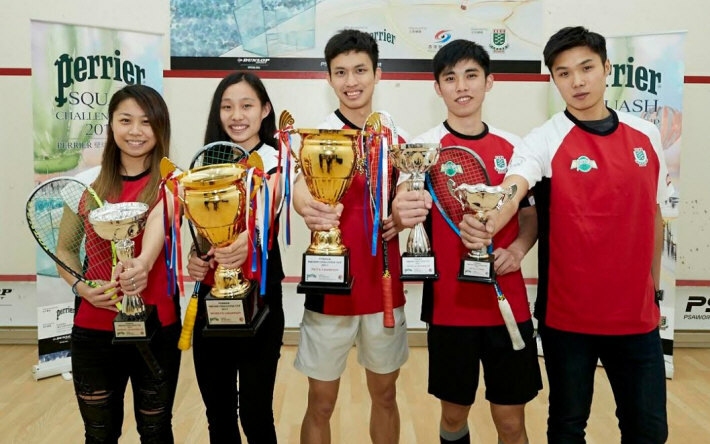 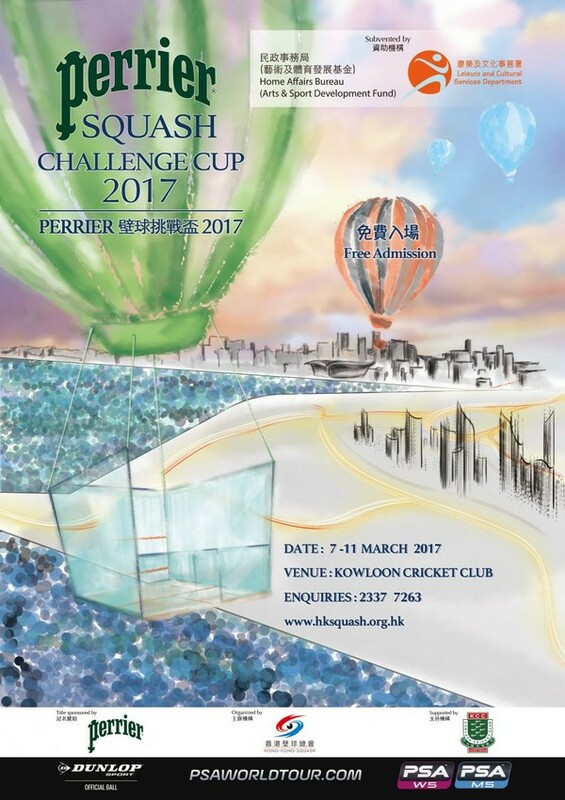 The Perrier Squash Challenge Cup 2017 came to a close as top seeds Wong Chi Him and Ho Tze Lok won two impressive finals in front of the ecstatic crowds at Kowloon Cricket Club. 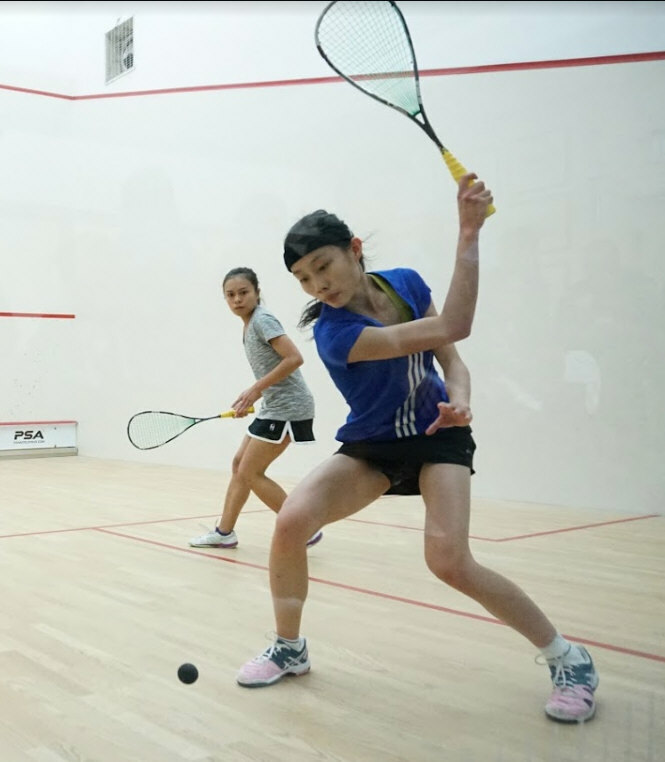 In the women’s final Ho Tze Lok pulled off a straight games win over Vanessa Chu to claim her second PSA title in a row. Tze Lok was grateful to win her second title in her home town. 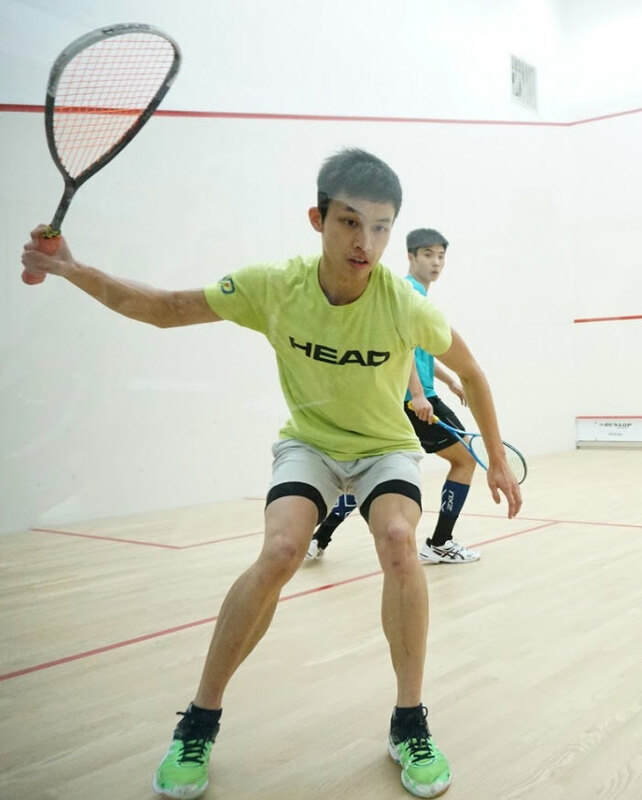 Wong Chi Him also produced a solid victory in defeating his compatriot Tang Ming Hong also in straight games to clinch his fifth PSA title. 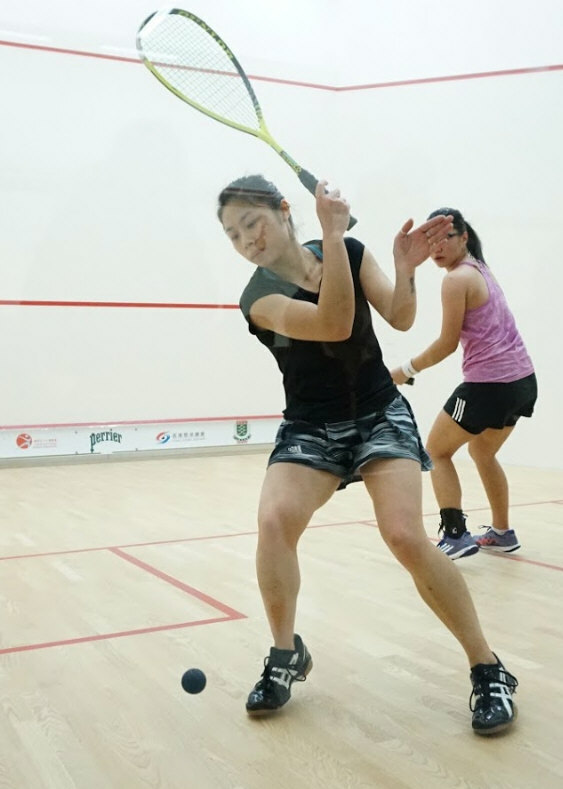 “I am truly delighted to win this title and I enjoy playing my squash this week which boost my confidence on winning some other larger tournaments in the future,” Wong said after match. 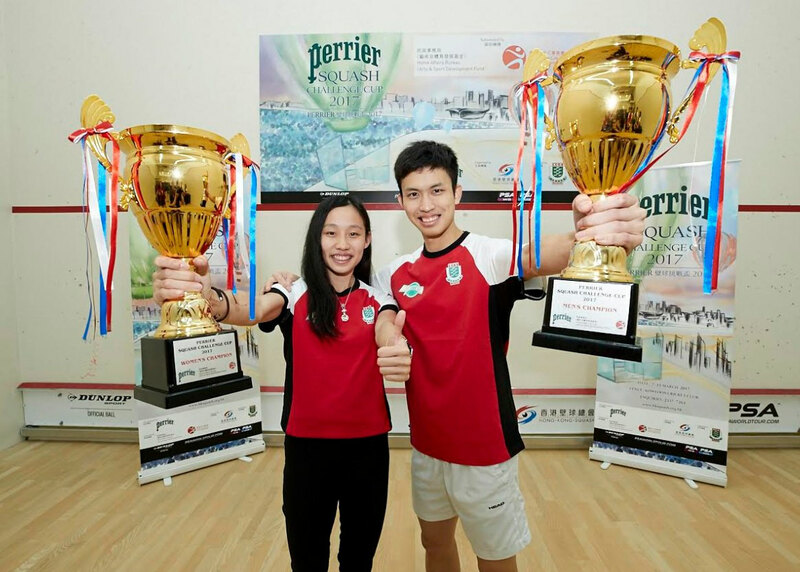 The Prize Presentation Ceremony followed. 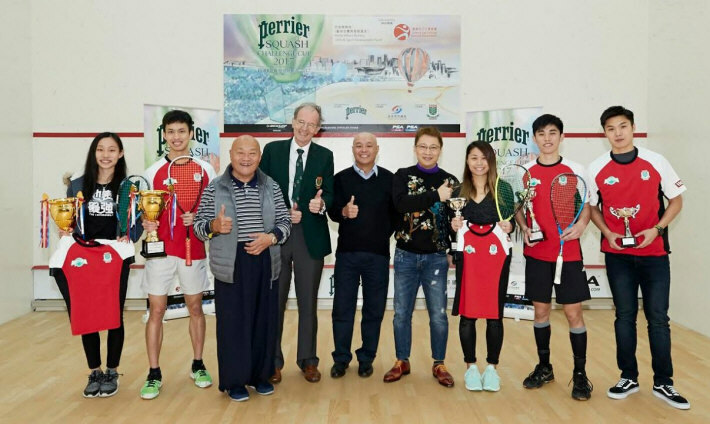 Mr. Cedric Tyen, Honorary Secretary of Hong Kong Squash, Mr. Vincent Wan, Chairman of Wan Corporate (Services) Limited, Mr. David Brettell, President of Kowloon Cricket Club and Mr. Aaron Yip, Tournament of Director of Perrier Squash Challenge Cup 2017, were the honorable guests to present the prizes to the winners. 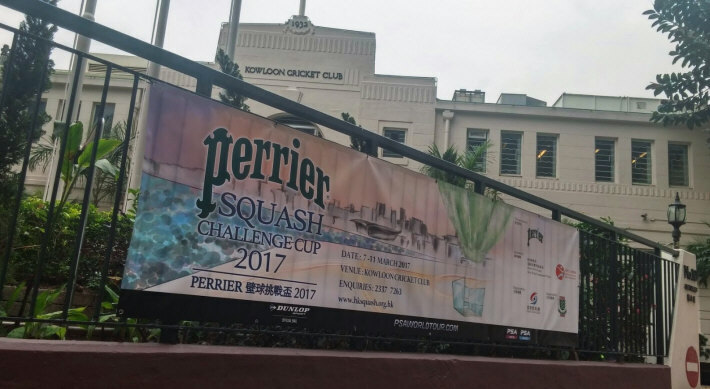 Both Perrier Challenge Cup Finals will be all-Hong Kong affairs after contrasting home wins in today's semis at Kowloon Cricket Club. 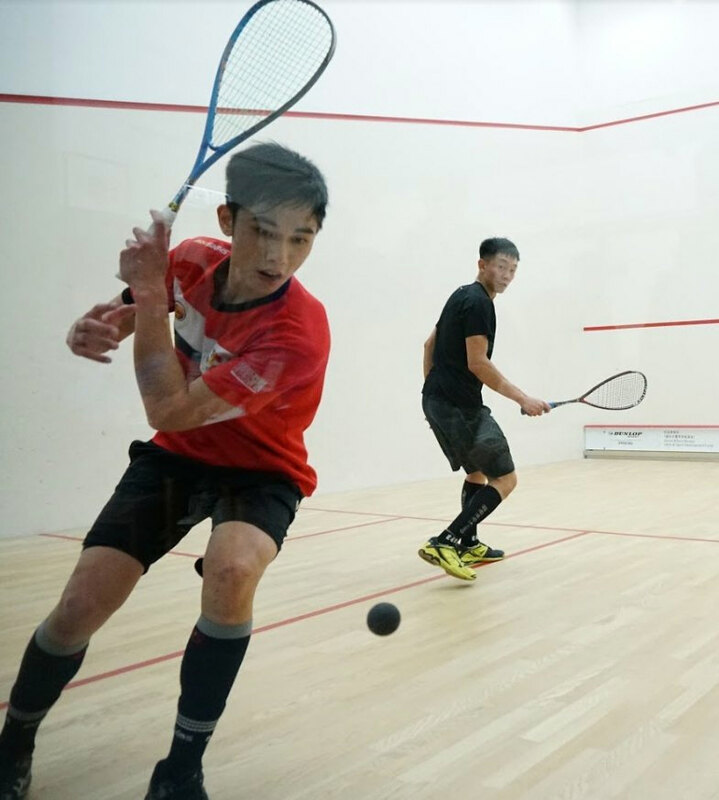 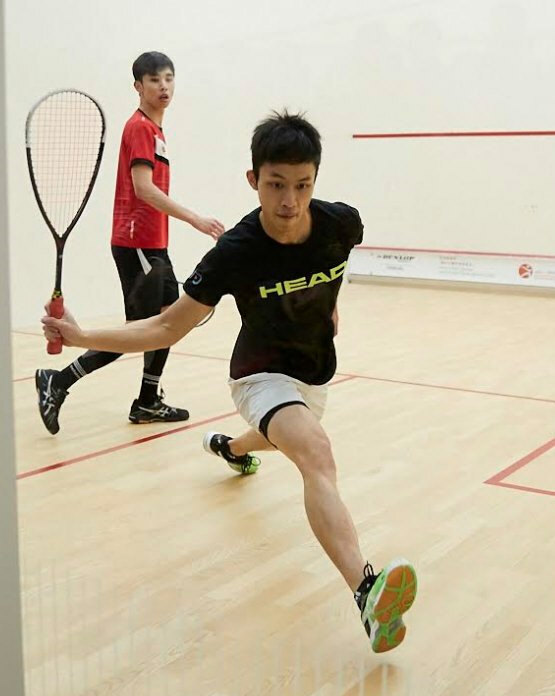 In the men’s semi, top seed Wong Chi Him came from a game down to beat over his teammate Henry Leung, while Tang Ming Hong survived from a fierce five game battle against second seed James Huang. 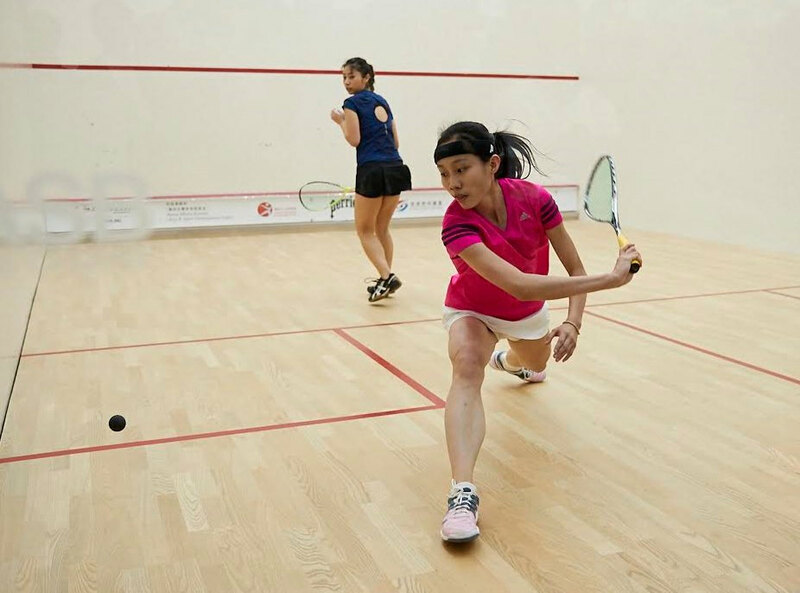 In the women’s event, top seed Ho Tze Lok overcame Malaysian Teh Min Jie in four games to book her place in the final, where she will meet teammate and second seed Vanessa Chu, who also beat Malaysian opposition, overcoming Andrea Lee in a five game thriller, 13/11 in trhe fifth. The finals commence at 3pm in Kowloon Cricket Club tomorrow, spectators are welcome.